Your child will do lots of phonics learning at school – so why not use games to help them put their new skills into practice at home? Our Phonics games learning pack, created by a KS1 teacher (and parent), offers ten games and activities to choose from. Everything you need to start playing, from instructions to game boards and a sound die, is included in your download – print off your bingo counters, sharpen your pencils and have some fun! Saying it slow Encourages your child to blend segmented sounds. 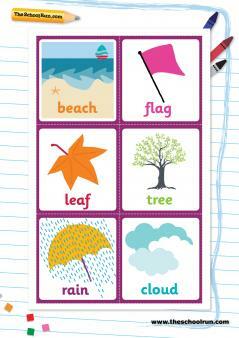 Tricky word bingo Helps your child identify and read tricky words. Sound snap The fun way to practise vowel vowel digraphs and split digraphs. Sound memory Play with sounds to help your child revise the ones they know well and practise those they find trickier. 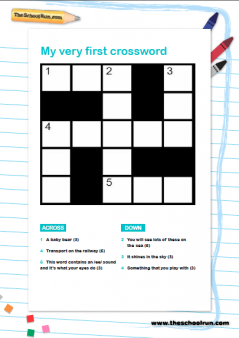 My very first crossword A grown-up game for newly confident readers and writers! Nonsense names! Help your child use their phonics knowledge to make up wonderful-sounding names. Roll the sound die Using the sounds they have learnt, can your child try spelling some simple words? Lucky dip Can your child write some (real!) words using the lucky dip sound cards? Crazy bingo Nonsense words don't mean anything – but you can still read them using phonics decoding skills! Help your child practise with this game. The games in this learning pack are intended for children who have learned sounds from all the phonics phases (end of Year 1). For a complete beginner's guide to phonics download our Fabulous phonics learning pack, or look through our phonics resources.